ONE OWNER LOCAL TRADE xxxx F 150 LARIAT FX4. 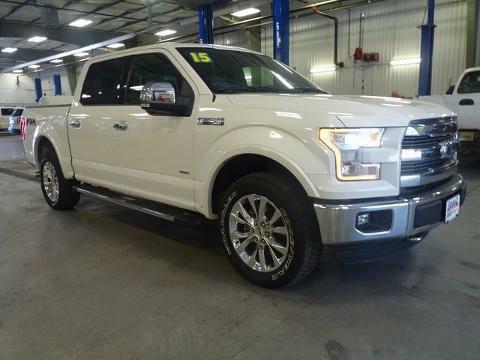 THIS TRUCK IS LOADED...NAVIGATION, SUNROOF, HEATED AND COOLED SEATS, ADAPTIVE CRUISE, BLISS, LANE KEEPING SYSTEM, PARK ASSISTANCE, CHROME STEPS, BED LINER, TAILGATE STEP, TRAILER TOW PACKAGE, BACKUP CAMERA, REMTOE START. CALL OR STOP BY FOR A TEST DRIVE!!! ---- IF WE DON'T SERVE YOU, WE DON'T DESERVE YOU! Seminole Ford proudly serving the following communities Seminole, Shawnee, Prague, Tecumseh, Wewoka, Holdenville, Wetumka, Ada, Norman, Stroud, Okemah & Meeker.